Would you show up for lunch with a new client dressed like a slob? How about a quarterly review with your boss? Or a date? Of course not. You dress sharp, because you know that first impressions count, second impressions count, ALL impressions count, every time. So why wouldn’t you want your website— the focal point of your business’s online presence— to look the best that it can as well? All your digital marketing efforts, from social media to email lists, lead magnets and more, are designed to drive traffic to your website, where you begin nurturing leads into lifelong customers. Sounds great in theory, but if your site is poorly designed or unpleasing to the eye, none of that is going to happen. The truth is that people make up their mind if they’re going to stick around your website within a few seconds of arriving. How well your site is designed says a lot about your credibility, authority and quality, and it influences whether visitors become customers, or if they just click away. Luckily, we’re here to help. Most websites remained untouched for years once they are launched. Over time, they begin to look outdated and drop in search engine rankings. Our Growth Driven Design approach treats your website like a living, breathing document. We design your site and continuously update and improve it as needed, based on real data, analytics and buyer personas to ensure the best possible user experience for your visitors, and the maximum ROI for you. 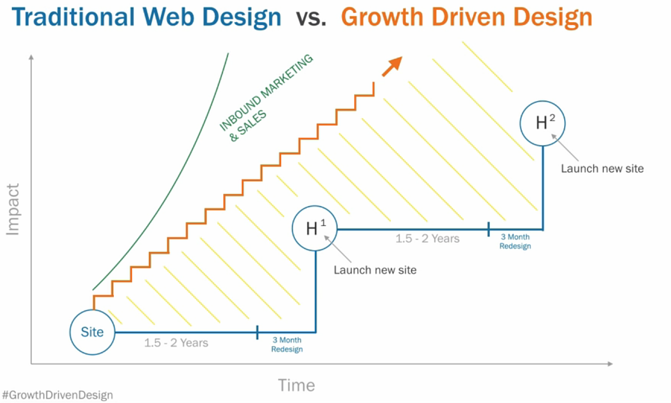 How Does Growth Driven Design Work? 1. Minimize Risk. Maximize Results. It all starts with in-depth research. We start with looking at past data, creating detailed buyer personas and attaching smart goals to the numbers. Next we develop a global and page-level strategy in order to create a website that delivers maximum results. Strategizing and carefully planning allows us to take a systematic approach that shortens the launch time of your site. By getting your new site up sooner, we can begin to track user data, which will determine where we go next. This helps avoid the risks of the traditional web design guessing game while maximizing the results with real data. Because Growth Driven Design is an ongoing process, your website never gets stale. By constantly researching, testing and learning about your visitors and how they are interacting with your website, we make informed, ongoing improvements based on real user data. This eliminates the guess work and helps make sure your website is running at peak performance. Because your users drive the process, your site will become more and more optimized for them, which means better ROI for you. Stop the cycle of redesigns and start growing with a website that is always improving. Growth-driven sites evolve around your visitors and how they engage with the content and elements on your website. Because of this, we learn a lot about the people who visit your site. The information we gather in this process is extremely valuable and can be transferred into all other areas of your business. 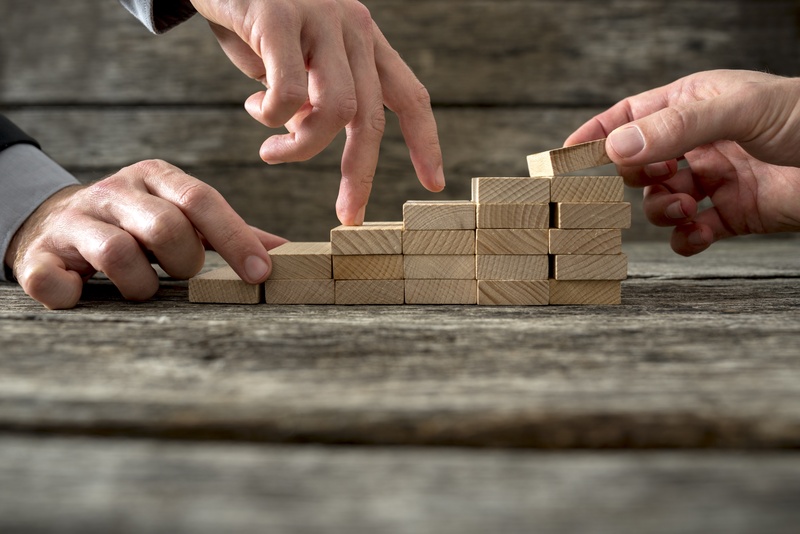 From improving your overall marketing strategy to equipping your sales team with powerful information on your prospects, Growth Driven Design can transform your website into a vital part of your business growth plans. We build our sites with Hubspot and WordPress, allowing for easy customization, excellent performance and fantastic customer support. 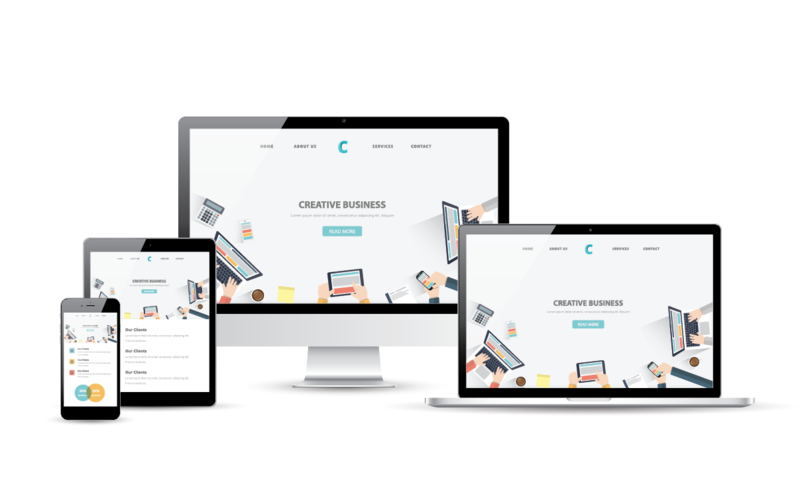 Plus, all of our Growth Driven Designs are 100 % responsive, so your website will look and work great on any computer or mobile device.